Indian Motorcycle had showcased the concept FTR 1200, that was based on the FTR750 flat track racing motorcycle. And now, America's first motorcycle company has showcased and launched the production version of the same. 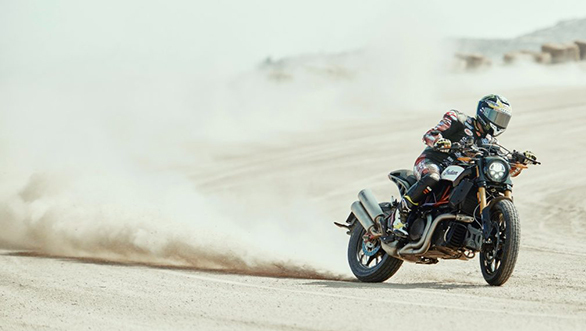 Priced at $12,999 (US market), it will be offered in two trims, the FTR 1200 and FTR 1200 S. Both the motorcycles take their styling cues from the FTR750 race bike that has been winning the American Flat Track championship series, which was introduced in 2016. 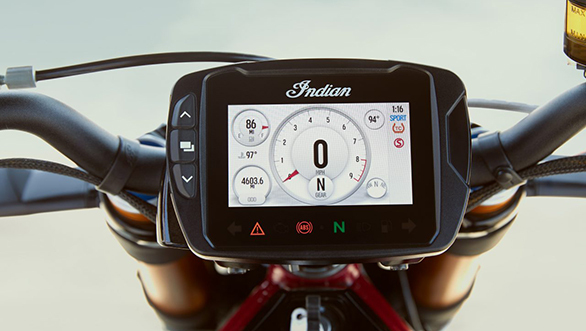 Indian Motorcycle states that the FTR 1200 offers race inspired design and nimble handling with an upright riding position to create an impressive riding experience. The Indian FTR 1200 comes with a new 1,203cc V-Twin engine which makes 120PS and generates 115 Nm of torque. The engine features a 12.5:1 compression ratio, high flow cylinder heads, and dual throttle bodies for optimal throttle response and power delivery. Additionally, the engine makes wide use of magnesium to lower weight and utilises a low-inertia crankshaft that allows the engine to rev to its redline quickly for thrilling acceleration. It also comes with three ride modes (Sport, Standard, Rain) with throttle response traction control intervention levels. 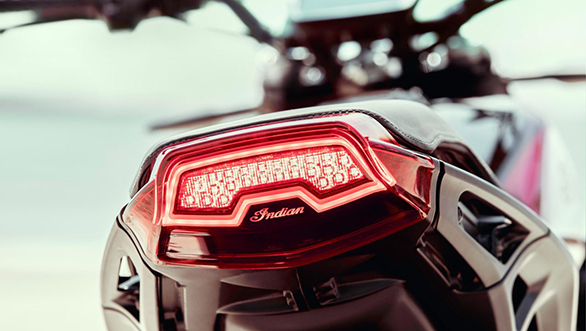 The Indian FTR 1200 is based on the trellis frame with a sporty riding position, both models (the 1200 and the 1200 S) feature an inverted front suspension with radially mounted dual Brembo brakes. The fuel tank has been positioned under the seat for a lower centre of gravity and more centralised weight distribution. Similar to the FTR750 race bike, the airbox is positioned directly above the engine to optimise airflow and maximise power. Both models feature a similar rear suspension and swingarm design as the FTR750 to not only provide a race bike look, but also ensure maximum grip with a compliant ride. Newly-developed Dunlop street tyres with flat track-inspired tread, a chain final drive, and ProTaper flat tracker aluminum handlebars complete the race bike look. The FTR 1200 and FTR 1200 S models, both feature full LED lighting, including a new headlight that provides an unmistakable face for the new platform, a fast-charge USB port to easily charge mobile devices and cruise control. 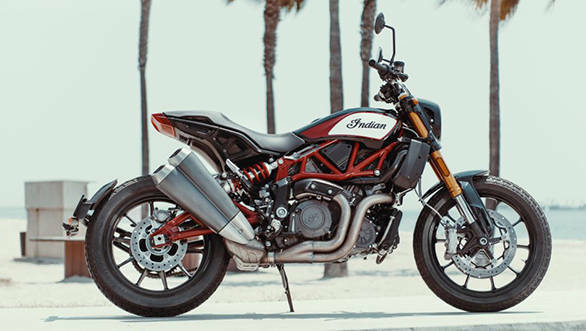 We wanted to make sure that the FTR 1200 wasn't merely a regurgitation of the FTR 1200 Custom, but something uniquely 'street, 'albeit flat track inspired," said Indian Motorcycle Senior Designer, Rich Christoph. "We're thrilled about the character this bike possesses, and its ability to take American V-twin motorcycles into new territory."